KATHMANDU, Jan 12: The technical team of European Union is going to hold a meeting from January 19-21. In the following meeting, Nepal has also been invited to provide the information’s about the progress and current situation of Nepal Aviation. A team from CAAN is proceeding towards Brussels, the capital of Belgium, for the meeting. Nepal was black-listed by the European Union meeting held in last Nov/Dec. The meeting also asked Nepal to present the progress report that’s why the technical team has involved Nepal in this meeting. According to the Chief of Airways Safety Department Rajan Pokharel, a team headed by Director General Sanjib Gautam is ready to attend the meeting and they are going to provide information about the current situation. According to Pokharel, the European Union is concerned with the Airplane accidents and Monitoring of regulatory body. Due to the poor management and unstable law European Union has not removed the name of our country from the blacklist. According to the European Union, the airways condition of Nepal has not been uplifted since last 5 years. Nepali Airlines are banned to fly across around 28 countries of Europe. All the companies that have the permission of Civil Aviation Authority have been banned by the European Union. As per the understanding of European Union, there is no proper distribution of AOC in Nepal. In 2013 when Nepal was listed in blacklist, a representative from Nepal was called but in the previous meeting of November, Nepal was not invited. 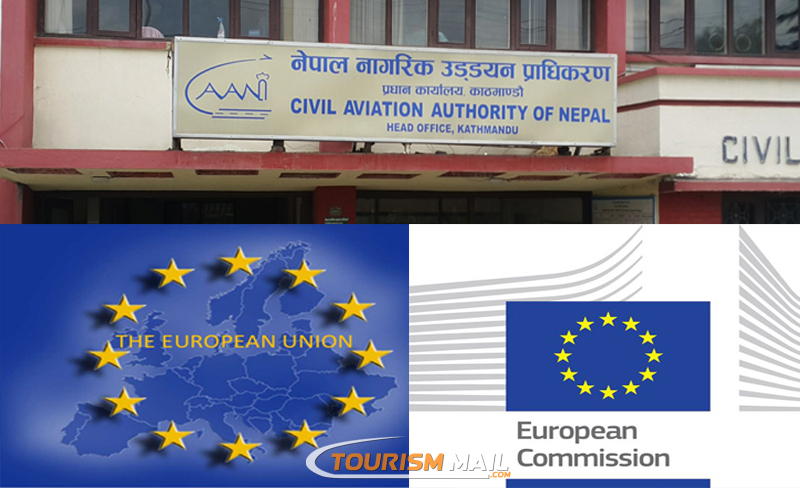 The European Union and International Civil Aviation Authority have been encouraging Nepal to form a body for airways accident investigation but this has not been formed yet. If any accident occurs different committee examines the situations. In spite of the weak management, the airways companies are still giving permission to new airlines. Thus, as per the understanding of European Union, there is suppression of private airlines in the company.